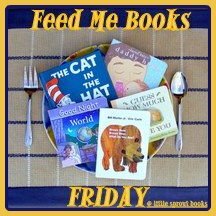 This week I am continuing our countdown of my boys' favorite books of 2011. My guys are (almost) 2 and 3.5. Today's book is a perfect fit for the toddler/preschool crowd! It's also a book by one of my favorite authors. A common theme found in early literacy, Little White Rabbit wonders what it would be like to be different. What if he could be tall like the trees or flutter like a butterfly? What if he were green or stone-like? Little White Rabbit enjoys his adventure and his imaginings until he is scared by a cat. Then he runs home, safe to his mother's arms. I love books that encourage independent preschoolers to be independent yet relay the message that they can always come home to safety. The illustrations in this book are gorgeous. They will definitely get you in the mood for Spring. The fluttering butterflies bring a smile to my face and remind me that winter has passed!!!!! I originally posted this on March 24, 2011 along with this crayon resist hidden bunny. I'm ready for winter to pass again but I will learn to be content with who I am, just like the Little White Rabbit. We loved this book and the boys continued to request it all year long. It definitely deserves a spot in our Best of 2011 collection! This is one of our favorites as well. We had taken it out of the library and I had to go buy it since she got so upset when we had to return it. 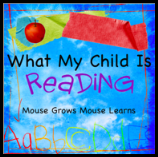 We read it all the time along with Kevin Henkes' My Garden. Love the creativity and imagination. This looks like a sweet book! What a fun book! 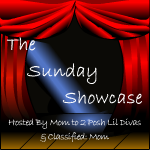 Thank you for sharing your ideas with us on The Sunday Showcase Have a happy New Year!